Ask any cook and they would tell you that plenty of storage is one of the most important things to have in the kitchen. 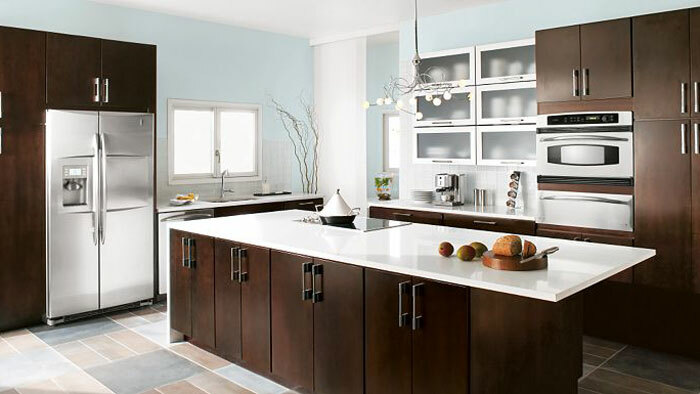 Kitchen cabinetry does not have to be boring and bland, but it does need to be functional. Today more than ever you can have the best of both worlds and get attractive kitchen cupboards that are designed especially for your kitchen and will provide heaps of storage space in several ways. Not only can cupboards be fitted into corners and small spaces, they can have customised fittings inside to make storage more efficient, easier to access and just right for a myriad of small kitchen utensils. So what are some of the latest trends that you can choose from if you are building a new home or renovating your kitchen? Here are some of them. Ceiling to floor cupboard space – this is usually placed on the opposite wall from the stove and other large appliances. You may think that it would be just too much to have a whole wall filled with cupboard doors, but this can actually become a feature by having several of them made of glass so that your most attractive china or some curio you love can be displayed, yet kept clean and free of dust. Drawers not shelves – old-fashioned kitchens had just two shelves in the cupboards under the kitchen sink. Drawers have replaced them. You can fit lots more in the drawer as well as being able to pull it out. This makes access much easier, especially for older people who may have trouble bending or getting down on their knees. It also makes cleaning easier.